Six unique Human Secuirty Officers with three variations each, for a total of EIGHTEEN full page 8.5x11 inch Portraits! Defend your ship, invade theirs or head into hostile environments armed to the teeth! 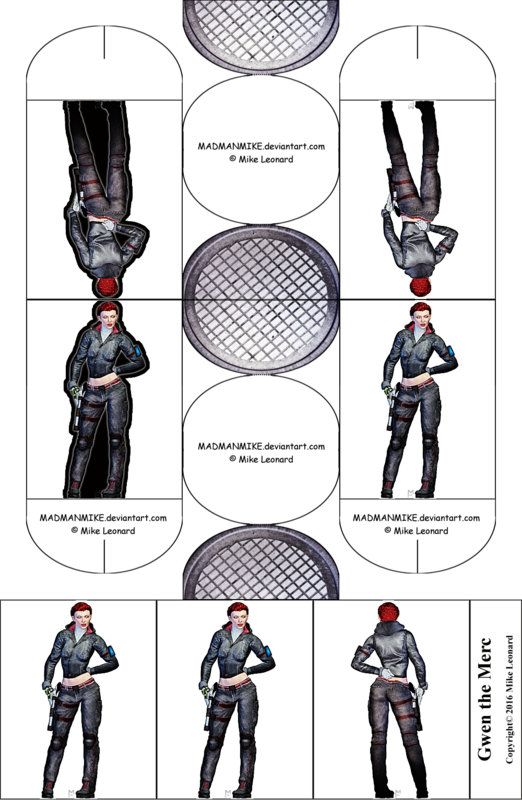 These are high quality renders of the characters presented in Traveller Paper Miniatures Vol. 1 Humaniti Security. Great visual aids for your Sci-Fi tabletop game! Minis are SOLD SEPARETELY and presented in approximately 28mm scale, with 1 inch/2.5cm bases; standard height for the minis is 1.25 inches/3cm.